Become happier just practising compassion or meditation for as little as half an hour a day over a period of two months has been shown to have a measurable affect on the parts of brain connected with happiness and well-being. Better able to deal with things improving the capacity to deal with stressful situations and even uncomfortable physical conditions. Allow your mind to be, just as it is: open, spacious, calm and yet completely aware. Simply let your thoughts and emotions, whatever arises, come and go, without clinging to them. Just let go. Relax and remain in the pure awareness of the present moment. When we allow our mind to settle in its own natural peace, we discover a deep stillness that has always been with us, and whether we are aware of it or not, always will be. We begin to discover the true purpose of meditation, which is to introduce us to the unchanging pure awareness that underlies the whole of our experience. 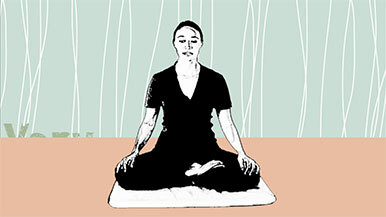 The practice of meditation is to become more and more familiar with this awareness in every aspect of our life. 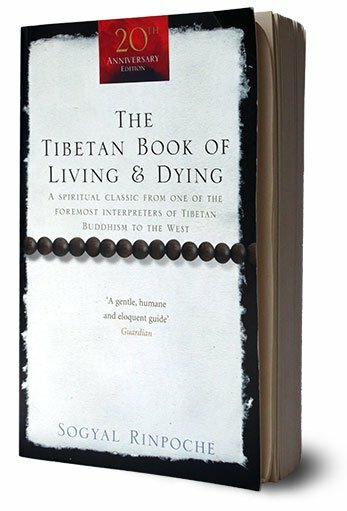 A manual for life and death and a source of inspiration from the heart of the Tibetan tradition, The Tibetan Book of Living and Dying provides a lucid and inspiring introduction to the practice of meditation, to the nature of mind, to karma and rebirth, to compassionate love and care for the dying. Over three million copies have been printed in thirty-four languages, and the book is available in eighty countries.